Chitradurga (Karnataka): Calling the Congress government in Karnataka "anti-Hindu", BJP chief Amit Shah accused it of perpetrating atrocities on BJP and RSS workers, claiming 20 of them were killed in the state over the last three years. He alleged that the Siddaramaiah government was pursuing "vote bank" politics as part of which it withdrew cases against Social Democratic Party of India (SDPI) workers despite the organisation being involved in "anti-national activities". Shah also demanded that the Siddaramaiah dispensation account for Rs 3 lakh crore the Narendra Modi government gave it for development. "In the last three years, we lost 20 BJP and RSS workers (in the state)," he told a rally at Holalkere, and claimed the government was not getting the cases probed properly. "Stop your atrocities on our workers, for once we come to power we will investigate the cases and send you to jail," he warned. "This anti-Hindu government is playing vote bank politics. Though it is established that the SDPI is indulging in anti-national activities, all the cases against them have been withdrawn,” Shah said. SDPI is the political wing of the Popular Front of India (PFI). Anti-terror probe agency NIA has claimed several SDPI and PFI activists were involved in terror-related cases. Raising the pitch for the upcoming Assembly polls in the state, the BJP chief said he has come to Karnataka to respond to Siddaramaiah's charge that the Modi government did not release adequate funds for the state. Shah is on a two-day visit to Karnataka, where Assembly polls are due early this year, to make it battle ready for accomplishing the mission of securing 150-plus seats in the 224-member House. This is his second visit in the last 11 days. "A few days ago Siddaramaiah asked at a press conference what the BJP government at the Centre did for the country and Karnataka. Here is my reply...we gave the state Rs 3 lakh crore," he said. 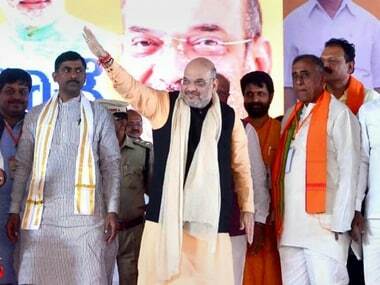 Shah said the previous Congress-led UPA government at the Centre had released Rs 88,583 crore under the 13th Finance Commission to Karnataka, while the Modi dispensation gave it Rs 2.19 lakh crore under the 14th Finance Commission. Additionally, the state got Rs 79,000 crore under various schemes. Seeking to connect with his audience, Shah asked them whether the money reached their villages. The crowd responded with an emphatic "no". 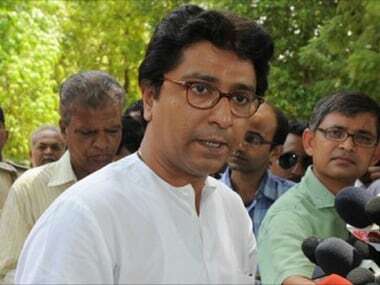 Shah claimed under the state's Congress dispensation the assets of its leaders grew manifold and they shifted to four-storeyed buildings from tin-roofed houses and drove in swanky cars instead of the humble mopeds. "The Congress government ate up all the money released by the Modi government apart from the taxes you paid. This government is steeped in corruption," he alleged. Raking up the controversies over Siddaramaiah’s Rs 70 lakh Hublot watch and alleged irregularities in denotification of land in Arkavathi layout, Shah sought to know why Energy Minister DK Shivakumar was still in his Cabinet though income tax raids against him "unearthed crores of rupees". Siddaramaiah was embroiled in a controversy over the diamond-studded Hublot watch, which was reportedly gifted to him. He later handed it over to the Assembly Speaker in March 2016, asking him to treat it as a state asset. "Siddaramaiah government is totally disconnected from people due to corruption. In the last five years, the government worked for the welfare of Congress workers and leaders instead of people of the state," Shah said. 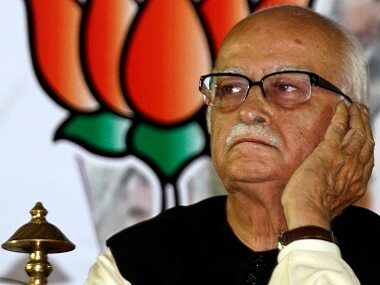 "If I go on listing all corruption cases, I will end up holding a 'Bhagwat Saptaah' (week-long Bhagwat Purana recital)," the BJP president said. He asked people to bless the BJP so it can win all the 224 seats in Karnataka and uproot the Congress government. Shah's public meeting was part of the statewide 75-day "Parivarthana Yatra" undertaken by the BJP to "expose the misdeeds" of the Congress government. 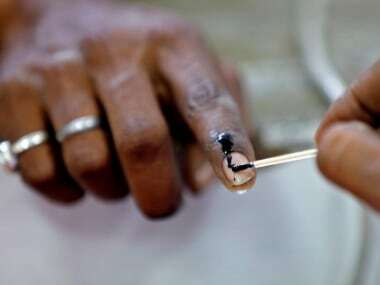 The BJP, which ruled the state from 2008 to 2013, is eyeing to unseat the Congress in one of its last bastions.